Jezebel - even to this day, the name of the wife of King Ahab is synonymous with wickedness and promiscuity. She was the most depraved of women, a murderess, an adulteress and worst of all an idolatress. She was so hated by some of the ancient followers of Yahweh that they went out of their way after her death to paint her as all things evil, even going so far as changing her actual title from the Virgin of Baal to the Whore of Baal. But what was it really that caused such a reaction from the followers of Yahweh? How could a mere woman challenge such men of God? The story really begins after the death of King Solomon when the Israelites split into two kingdoms, Israel in the north and Judah in the south. The first king of the north was Omri and he established his capitol in a place called Samaria. Omri built his palace complex on a hill he purchased from a man named Shemer, for which he paid two talents of silver. The ancient city of Samaria today is split between Israeli and Palestinian control and, unfortunately, it is in a precarious state threatened by vandals, robbers, and neglect. A recent proposal dubbed the “Shamir Plan” calls for a wide-reaching government program to increase the Jewish population of Judea and Samaria from 450,000 to two million, leading to more tensions with Palestine. If implemented, the plan would bring the Jewish population of Judea and Samaria to roughly the same level as the area’s current Arab population. The best-known excavations of the site date from 1908 to 1910 and then again in the 1930’s. The Palestinian Department of Antiquities, formed in 1997, is working on protecting and excavating the site with about a dozen digs being conducted, so conditions are improving. This ancient site is one of the most documented by fact in the Bible, as well as the burial place of John the Baptist, Joseph, and ten kings of Israel. Is it the location of this city that has caused its virtual abandonment by archaeologists until recently or is it something more? It seems to have been ground zero for the war between the worshippers of the old goddesses and gods, and the followers of Yahweh, for whom there was no room for other gods, and no amount of violence and treachery was too extreme to achieve their ends. What truths may be buried in the city of Samaria? 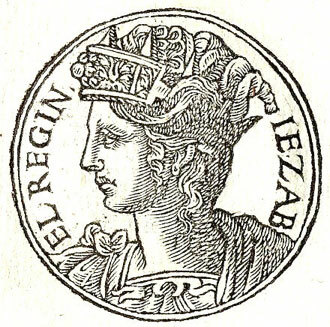 After the rule of King Omri, his son Ahab became the King of Israel, and in approximately 874 BC the Princess Jezebel of Tyre (Phoenicia), was brought to the northern kingdom to be his bride and cement a trade and military alliance between the two kingdoms. It was a very advantageous agreement for Israel to be partners with the powerful and wealthy sea faring Phoenicians. Now the Bible says that Jezebel’s father King Ethbaal was the high priest of Baal, but according to the Annuals of Tyre, which are now lost, he was probably actually the high priest of Astarte. Astarte was the primary Phoenician deity, a Goddess, and Baal was her son, consort, or husband, depending on the region. I contend that it is this worship of a female deity that was the deepest issue in this conflict and consequently, the Goddess was removed from the story as much as possible to hide the fact of her once widespread power. The presence of the female in the divine was simply an unthinkable state to the followers of Yahweh at this time, as it is to the followers of the three Yahweh based religions today. The Bible purposefully skirts the issue of the worship of the Goddess as the prime religion at the time, consistently referring to Baal as the major deity when that was not the case; indeed Baal is the consort of Astarte, who dies every year and is then reborn, and holidays of grief and celebration commemorated this yearly cycle; does this story sound familiar? In earlier times, Astarte or Ashtoreth, as she was also known, was the consort of Jehovah before the move towards monotheism, and apparently the Israelites had a bit of trouble adjusting as they continuously fell back into their old ways of worshipping the older dualistic deities. 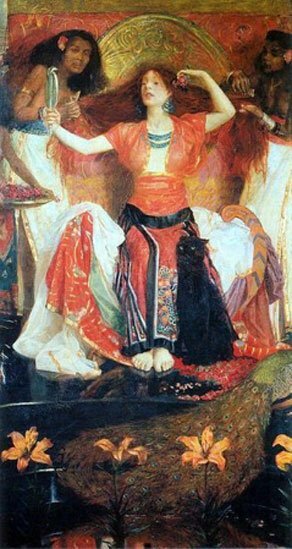 Jezebel was raised as an acolyte of Astarte and Baal and she brought her religious beliefs with her to Israel. The Bible would have us believe that Jezebel forced her religion on people, but the truth is that the region, whose populace was more multinational, was far from united under one god – even though the state religion of Israel was the worship of a single male deity, the worship of many gods and goddess’ was common. The followers of Yahweh were, however, determined to bring about the end of all religions except theirs by whatever means necessary. Soon after their marriage, Ahab built a “house of ivory” for Jezebel to honor her deities, and this gift from a husband to his bride has long been used as an example of his weakness concerning his wife and the opulence of the pagans, not as a beautiful gesture to make a young woman far from her home feel welcome. Remains of ivory furniture and other relics were actually recovered from Samaria in earlier excavations in 1908 thru 1910, suggesting that the house of ivory really did exist. The Bible points out that Ahab erected an altar to Baal and then almost second handedly, it mentions he also made a “sacred post” (1 Kings 16:31-33). Sacred post can be easily passed over, but what it actually means is Ahab erected a grove to the Goddess, which was created by placing the posts of sacred trees into the ground, so clearly Ahab recognized both the Goddess and Baal. Jezebel, did not take her position as Queen of Israel as one of submission; she was the daughter of a powerful empire and a power in her own right and this seems to be her first sin in the eyes of the followers of Yahweh. She was a woman who spoke her mind and stood behind her beliefs and her culture; she refused to bow to their will and this alone made her very dangerous. At some point in time, Jezebel seems to have been forced from merely attempting to achieve religious tolerance in her kingdom, to moving against some of the prophets of Yahweh. The prophet Elijah was claiming that the drought affecting the region was a punishment from God and the stress of the drought was undoubtedly causing unrest. In Kings 18:4, it says Jezebel was cutting off the prophets of the Lord, it does not of course say why. Perhaps they were causing extreme unrest by preaching in the streets that the evil of the king was causing the drought and in turn threatening the sovereignty of the king, or perhaps the accusations were not even true; there is no mention of names or places. Regardless of why, she was in fact a representative of the government, so her actions against persons acting against the state may or may not have been warranted. We will probably never know, but this one small verse has been used to vilify her when the actions of others prove to be much more horrific. In an effort to prove the superiority of Yahweh, Elijah the prophet planned a contest on Mt Carmel between himself and the prophets of Astarte and Baal, of which there are 850 in the service of Jezebel. As the story goes, two bulls were sacrificed and put on pyres. The acolytes of Astarte and Baal first tried to get their deities to light the fire under the pyre to no avail, but just one plea from Elijah and the Lord sent fire to light the sacrifice. After this, Elijah orders the slaughter of the 850 servants of Astarte and Baal, declaring that not one of them shall escape. This description of the mass murder of 850 people is very specific, unlike the vague reference to Jezebel ordering the cutting off of some of the prophets of Yahweh, yet no one seems to see Elijah’s acts as disgusting. Is any act acceptable when ordered by God? I think any modern reader should see this whole story as a trick by Elijah to get all the prophets of Astarte and Baal in one place and then he fooled the crowd with a parlor trick by lighting a fire, or perhaps the fire never even happened; it’s hard to believe a story when everyone who might have told a different version were not left alive. Then of course there is the account of Elijah making it rain, breaking the drought. Was this a miracle, a coincidence, or just a made up story? Of course this is a great tale, especially if you like mass murder, but one has to wonder why a man who God sends down fire for and who can break a three year drought goes into hiding when Jezebel, a mere woman, learns what he has done; and she makes it clear that she wants him dead just like her prophets. Why did he not ask God to strike her dead? Instead, he ran off to Mt Sinai to hide. The harsh blow of the murder of her prophets did not bring down Jezebel, so a more complicated plot was laid out to show that she manipulated her husband and violated the laws of the land. This tale begins with her husband King Ahab wanting to buy his neighbors vineyard so the King can make a vegetable garden…yes a vegetable garden. The owner of the vineyard, a man named Naboth, refuses to sell or trade his vineyard, even for something worth more, since he inherited the land from his father and Israelite law declared that he should keep it forever. According to the Bible, Ahab became so upset over the problem with his new vegetable garden he took to his bed and refused to eat; strange behavior for a powerful warrior king, but that is how the Bible tells it. Jezebel then tells him that she will get the land for him. Many interpret her reaction as one who came from a land where rulers could do as they please, instead of as it was in Israel where rulers were not above the laws of the land, like David and Bathsheba for example. Jezebel is said to have written letters to the people of the town asking them to accuse Naboth of the crime of blasphemy and then to take him out and stone him. She did this without the knowledge of Ahab, but used his seal on letters to supposedly ensure the town people’s cooperation. They obeyed without question; Naboth was killed and the king automatically got the vineyard since the owner was convicted of a serious crime…very tidy except there are quite a few glaring problems with the story. First, why would the elders and land owners of the town follow such instructions without question? No one spoke up to defend a man who they had probably known his entire life and who was completely within his rights to refuse the sale. If Jezebel was truly the hated harlot, why did no one betray her plan until after the fact? It makes no sense. Secondly, if the letters were signed by the King, how did they know they were actually sent by the Queen, and why would either the King or Queen send out multiple letters asking people to falsely testify against a man? It seems a little self-incriminating. The tale just does not ring true; it seems at best a fabricated lie and at worst a frame up that may have resulted in the death of Naboth, over a vegetable garden of all things. I, of course, do not doubt that something as petty as this could be true, the Bible is full of such stories; this one however is weaker than most. The tragic death of Naboth, however, enraged the ever-righteous Elijah, and the Lord told him to go and tell Ahab that his possession of the land by murder would not go unpunished and that Ahab’s blood will be lapped up by dogs in the same place as Naboth’s death. Elijah, however, told Ahab that it was Jezebel who would be eaten by dogs. Ahab died from wounds he received in battle after ruling from 874 to 853 BC. The second son of Ahab and Jezebel, Joram, took the throne as the legitimate King of Israel. Elijah had been taken to heaven without dying for being such a great guy, and his follower, Elisha, had taken up his cause. Elisha declared that one of Joram’s military commanders, Jehu, would be the new king and was to exterminate the House of Ahab. King Joram was on the battlefield and called out a greeting to Jehu, who responded to the king by saying 'How can all be well as long as your mother Jezebel carries on her countless harlotries and sorceries'? (2 Kings 9:22). He then assassinated the king with an arrow to the heart. King Joram’s body was dumped onto Naboth’s land. Jehu then had the decapitated heads of Ahab’s seventy sons taken from Samaria to the gates of Jezeel and put in a pile. Now the usurper Jehu heads to the town of Jezeel to finally murder the one they have hated for so long, Jezebel. Jezebel, knowing she was about to be killed, did not run. 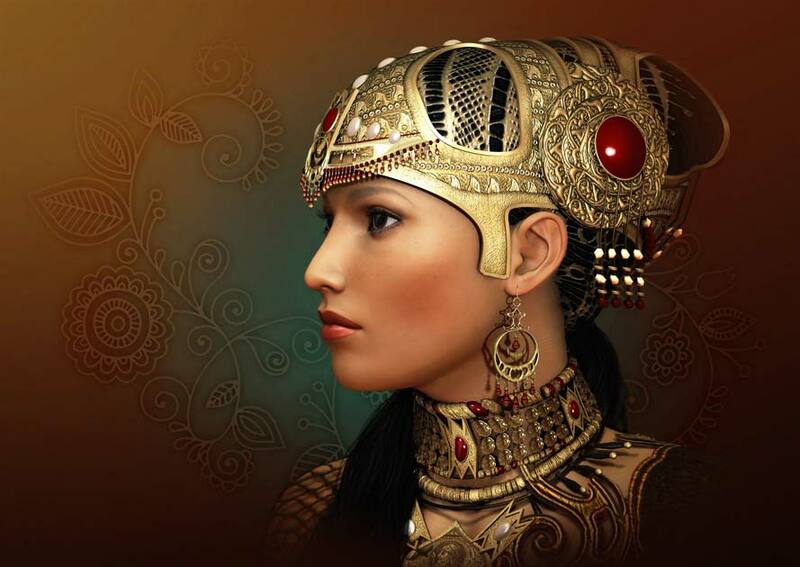 Instead, she prepared for Jehu’s arrival by putting kohl around her eyes, dressing her hair and preparing to exit the world as a queen and a high priestess. The Bible likened lining the eyes as a female trick of enticement but in Jezebel’s case, it was quite possibly the face she would have worn to worship her dual deities, just as the priestesses of Hathor lined their eyes. The Bible would have us believe that Jezebel was preparing to seduce Jehu in order to save her own life, but upon the arrival of Jehu, she mocked him and called him Zimri, the ruler before Omri, who came to the throne by killing King Elah – it was not a nice comparison and certainly not an attempt at seduction. 'Is all well, Zimri, murderer of your master?’ (2 Kings 9:31) she asked him, as he came for her after killing her son, his king. 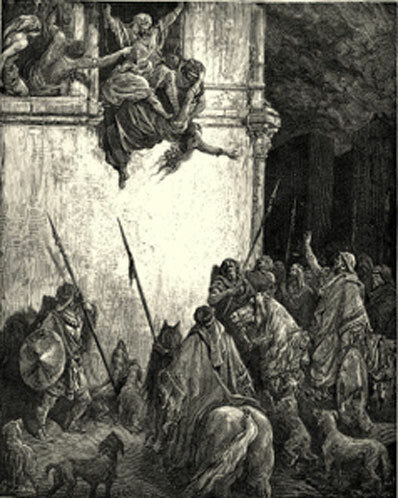 Jehu ordered Jezebel’s eunuchs to throw her from her window – her blood was spattered on the walls and the soldier’s horses as they trampled her. After his victory against an unarmed woman, Jehu announced that her body should not be left in the street since she was the daughter of a king, insinuating that he may have had second thoughts about how his treatment of a Princess of Phoenicia would be viewed. But when his men went to retrieve the body, it had been consumed by dogs, just as Elijah had prophesied. Jehu continued the purge, killing every priest, family member, and associate of the family of Ahab, slaughtering them and mutilating their bodies. Jezebel went to her death with courage and spirit; she never begged for mercy or abandoned her beliefs. The Bible calls her a witch and a harlot but there is really no evidence of this, even in the massive smear campaign waged against her. She was by all accounts faithful to her husband, loyal to his family, and a powerful ally to him and her adopted homeland. There is never any evidence that she was not loyal to him, even after his death. She was of course guilty of one thing, polytheism - and she would have been the first to admit it. The story of Jezebel appears to have real basis in fact, as well as being a great example of history being written by the winners. Her story is so obviously colored by the religious prejudices of the writers of the Bible, that I do not understand how anyone sees her actions as so evil, and those of Elijah and the followers of Yahweh as righteous. The followers of Yahweh slaughtered hundreds of people, piled up severed heads, assassinated a king, threw a woman out a window, trampled her with horses, and then hunted down hundreds more who were associated with the family and chopped them to pieces. The only thing that keeps this behavior from being the work of psychotic killers is that God told them to do it. The death of Jezebel is more than just the death of one woman; her death is one of those many moments in history where the worship of the dual deities, the God and Goddess, began to fall to the new monotheism in a blood bath, and the new religion began the important task of erasing the past. Hopefully, further excavations of Samaria will yield more facts about the lives of these early rulers of Israel and the time when both God and Goddess were sacred to the people. Ironically, the murders of all of Ahab’s family by the followers of Yahweh led to Ahab and Jezebel’s daughter, Athaliah, becoming Queen of Judah…but that’s another bloody story. Dever, William G. Did God Have A Wife? Archaeology and Folk Religion in Ancient Israel . Smith, Mark S. The Early History of God: Yahweh and the Other Deities in Ancient Israel . 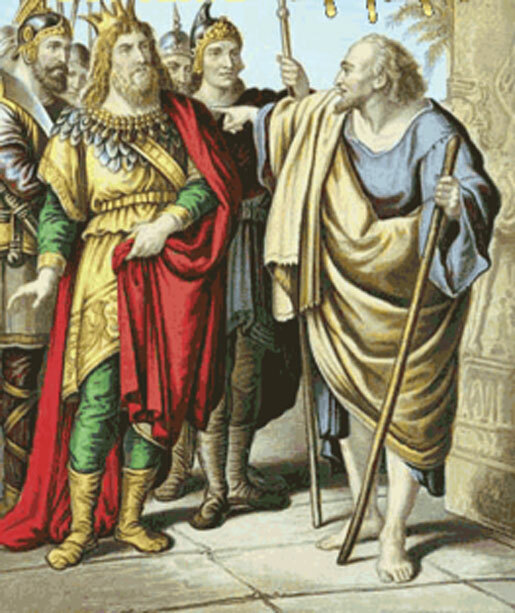 The first king of the Northern Kingdom of Israel was Jeroboam son of Nebat. This was the first of many mistakes in this piece of trash article. What utter garbage! The very name "Ethbaal" debuts this idiocy. 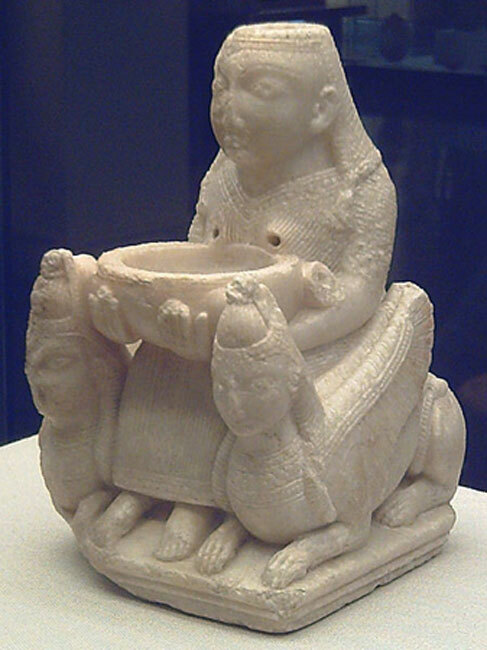 The claim that Astarte was the major deity is based on what? Since different deities fell in and out of favour it is more than reasonable that Baal was major at the time of the King EthBAAL, given that the most reliable source names him as Baal's high priest. Pure speculation from somebody who writes from the perspective of a pissed off 8th grade girl who has issues with Judaism and male dominance in ancient society. This "virtue speculation" of because Jezebel was a woman she must of had pure intentions is utter nonsense. Jezebel was about as virtuous as Hillary Clinton, you can bet virtue and these two never exist in the same room ever. Hmmm, I came for a dissertation on available data pertaining to this issue and instead i am (amusingly) subjected to a tirade and biased speculation; with this issue merely used as a backdrop for your vitriol. Thanks for a very interesting re-reading and re-positioning of a one-sided Biblical story. Reading between the lines brings out a very different story. And, judging by the above comments, one that still generates a lot of vituberance.